The Eye On It Songfacts reports that Eye On It, TobyMac's fifth full-length studio album was released on August 28, 2012. Said TobyMac regarding the album title: "I want my music to depict what I'm going through. I want to write about the things that upset me, move me, hurt me and haunt me. The things that are real. With Tonight, I was determined to live more passionately with God. I was laying down the gauntlet. Eye On It is a continuation of that. It's saying, 'This is the person I want to be and I'm going to keep my eye on it, God willing!'" 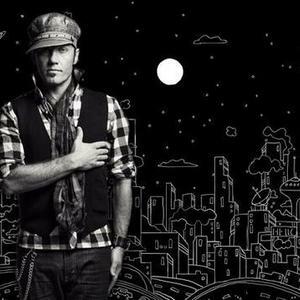 The ascension of TobyMac's solo career has been nothing short of spectacular. In an era of declining music sales he has consistently defied the odds and has seen his sales increase with each new album release. This is no small feat. With his fourth studio album TONIGHT released on Feb. 9, he is poised to take things higher yet again. Having climbed the mountain once with the group dcTalk (4 Grammys, more than 8 million albums sold), TobyMac knows how difficult the journey can be and how much work the process actually takes. Rarely does an artist get to soar to great heights for a second time, but soar he has. He took home his first Grammy as a solo artist last year after receiving Grammy nominations for each of his first four solo projects (Momentum, Welcome To Diverse City, Portable Sounds, Tonight). And last year TobyMac topped 2 million in total albums sold during his solo career. TobyMac has also remixed the Welcome to Diverse City album and Momentum, calling the new albums Renovating Diverse City and Re:Mix Momentum, respectively. He has done it with a combination of talent, hard work and humility which has produced songs that resonate with people from all walks of life . Upon embarking on his solo career, Toby sought to surround himself with a talented and diverse cast of characters, aptly named the Diverse City Band. The result has been a musical fusion that radiates with an unquenchable energy and a penetrating message. A self-professed perfectionist when making records?he's been known to relentlessly tweak and massage every little thing in an inexorable effort to make it sound better?Toby is the first to admit that he has to work really hard to make great music. ?That's what drives me,? he says. ?I feel like I have to work harder than other people to get there. Sometimes I feel like I'm slightly under-gifted; I usually don't sit down and write a great song in just a few minutes like others can. But I think my work ethic makes up for that.? Starting with dcTalk, and then going solo when the group disbanded in 2000, Toby still clings to such rootsy notions as hard work, persistence, patience and?perhaps most relevant of all?the power of music, which he insists is still what keeps him going. ?It's the truth,? he says. ?I still believe that a song can penetrate a heart. I believe God can use a song to open someone's mind and heart. Other songs can just drop what I call, 'the joy bomb' on somebody. I fight really hard to remain unjaundiced?to keep believing that you can actually walk into a studio and write a song that breathes life. That's the hardest fight for a guy who's been doing this for a while; it's easy to fall into the trap of just making it your job. But I still believe that songs matter.? The songs on TONIGHT certainly matter?everything from the prayerful first single ?City On Our Knees? to the testimonial ?Changed Forever,? from the worshipful ?Captured? to the confessional ?Start Somewhere,? and even down to the put-on-your-party-hat grooves of ?Funky Jesus Music? and ?ShowStopper.? One theme that runs loud and clear throughout is the idea that we all need God, and we need him now?this morning, this afternoon, tonight. ?Right here, right now / Under the stars / I promise You my heart / 'Cause it starts tonight,? Toby sings on the chorus of the title track. ?If you gotta start somewhere why not here? If you gotta start sometime why not now?? he asks on ?City on Our Knees.? And ?I wanna straighten this before the sun goes down tonight,? he proclaims on ?Start Somewhere.? ?There's definitely a sense of urgency on this record,? says co-producer Chris Stephens, who has worked on TobyMac's last three CDs. ?And it's an album that speaks of unity, of coming together and finding common ground to worship God.? Toby has long had a passion for racial reconciliation and unity, a recurrent theme in his music. TONIGHT includes songs of reconciliation of another kind?between husband and wife. Toby and Amanda have been happily married for 15 years, but like all couples, it can be hard work sometimes. For Toby, who best expresses his emotions through music, it was a natural step to write about it. In ?Hold On,? he sings, ?If you move just a little bit closer / You can put your head on my shoulder . . . / Wipe away those tears / This one's for you.? And on ?Start Somewhere,? he's downright confessional: ?I said some things that I regret / And if I could, I'd take 'em back / But here I am, and there you are / The space between us is not so far / I'm reaching out my hand in love.?
? ?Hold On' is very personal,? Toby says. ?Many lines are there to encourage my wife, but I know those lines could encourage anybody in a relationship. As for ?Start Somewhere,' any time you're in love with somebody, you're going to bang heads from time to time. I don't know how many times I've been lying in bed, sweating it out and thinking, How am I going to make this right? But then you reach that moment of apology and forgiveness. That's one of my favorite songs on the record; it's a personal perspective on confrontation and reconciliation.? And then there's ?Wonderin',? in which Toby reminisces about the past with Kevin Max and Michael Tait in dcTalk, one of Christian music's biggest acts in the 1990s. ?We was ridin' in style, clockin' them miles / With the songs that He put down deep in our hearts . . . / I'm wonderin' 'bout the way I spend my days / Wonderin' if it's even worth the chase / Wonderin' if they're stealin' me from you.? ?It's just a warm look back at dc Talk,? says Toby, almost wistfully. ?It's reminiscing about Michael and Kevin and what we did together, and recognizing their influence on me. I love what I do today, but there are times when I wonder,What if we stayed together? I've got these dreams I'm pursuing now, but are they stealing me from you? I think about Kevin and Michael on every song I write. That's the truth man, we climbed a mountain together.? Sonically, TONIGHT is typical TobyMac in many ways?an eclectic mix of rap, rock, pop and funk, all laden with catchy hooks and melodies just itching for airplay and audience singalongs. There's even a healthy dose of reggae on the album closer ?Break Open the Sky,? where Toby flexes his Jamaican family ties while Israel Houghton provides guest vocals. Other visiting vocalists include Skillet's John Cooper on ?Tonight? and Relient K's Matthew Thiessen on ?Wonderin'.? Of course most of the vocals belong to the artist himself. Stephens says Toby ?has stretched himself as a vocalist, he writes about things he is passionate about and his vocals reflect that urgency''. Toby agrees: ?I do more singing on this record than ever before. I'm learning to use my vocal instrument in different ways, and I'm getting more comfortable with it everyday''. It all adds up to a project that reflects one man's desire to push himself beyond ?very good,? to dig deep in the quest for that other country where greatness resides. He certainly reached for it. Hard. ?I've worked very hard not to fall into the trap of making this just a gig,? he says. ?If it is a labor, it's a labor of love. I know music can't change the world, but who says God can't speak through a song." Right here, right now. TONIGHT.